In the 1947, De Beers created the slogan, “A diamond is forever” (De Beers Group 2018). Little did they expect that several decades later, the same diamond could forever be a reminder of the atrocities of the diamond industry, in which conflict and violence were funded by the mines from which many of these diamonds had been harvested (Marr 2018). As consumer preferences have gradually shifted towards more ethical consumption habits, questions of supply chain management have arisen within the diamond industry. Despite measures such as the Kimberly Process in place, diamond fraud and falsification still occur and supply chains remain convoluted. In response to consumer demands for a more ethical supply chain, several technological innovations have arisen with the aim of ensuring a cleaner supply chain by tracking diamond provenance. With a large majority of the world’s rough diamond trade occurring in only two organizations and two locations, the HRD in Antwerp and De Beers’ Central Selling Organization in London, there is significant opportunity for improved traceability and transparency within the supply chain (Smillie 2000). Two of the main platforms to rise to the challenge are Everledger and Tracr, blockchain based applications which track diamonds across their value chain. A blockchain is a particular data structure used to store and transmit data in packages called “blocks” which are connected to one another within a digital “chain” that is immutable across a decentralized network (World Bank 2017). 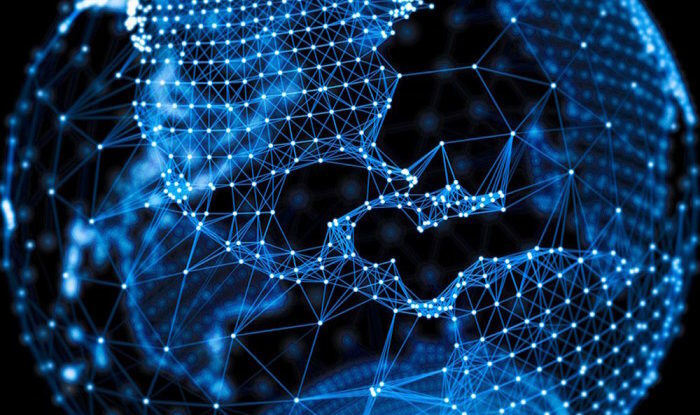 The decentralized framework upon which the blockchain operates is unique in that it does not require oversight by any one company or institution, but is rather built upon a network of personal computers through a secure distributed ledger, which can be classified as public or private, depending on if the information is accessible to anyone, or only to nodes (participants) within the network (Sinrod 2018; World Bank 2017). Everledger and Tracr have emerged as leaders in the race to track the diamond value chain. Everledger has been operating since 2015, and has encrypted the provenance of over 2 million diamonds, by working with a range of stakeholders across the diamond supply chain (Everledger Limited 2018). In 2017, Everledger developed the Diamond Time-Lapse initiative, which is a historical ledger of the movement of diamonds, providing real-time data about the diamond’s origin, and processes including cutting, polishing and certification (ibid). Tracr is a similar endeavour still in its pilot project phase, and was launched by De Beers in January 2018 with a small group of industry participants (Tracr 2018). As De Beers provides roughly one-third of the global supply of diamonds by value, this would significantly impact the industry should the pilot be scaled up (ibid). Although both of these projects provide a boost to customer confidence in ensuring their diamonds are conflict free and traceable, questions arise with regards to the input of correct information, and verification of this, both internally and by external third-parties. In order for blockchain technology to hold true to its purpose, it is critical that the correct information is entered into the chain. Therefore, transparency and accountability is necessary throughout the supply chain, in order for the decentralized and secure nature of blockchain technology to have any value in supply chain verification. As the information recorded on the blockchain might be ‘forever,’ it is critical therefore that the information be correct and verifiable.